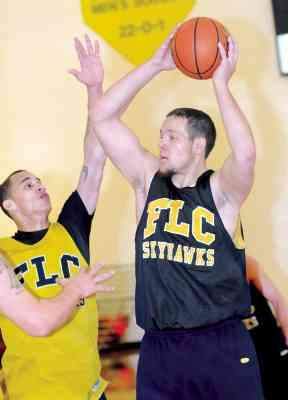 For just the fifth time this season and first since Dec. 13, 2008, the Fort Lewis College men's basketball team will play a home game at Whalen Gymnasium. Fort Lewis will host Northern New Mexico at 4 p.m. today, three hours earlier than the originally scheduled time. The game is the final nonconference game on the Skyhawks' schedule this season. Fort Lewis, 3-1 in the Rocky Mountain Athletic Conference and 11-3 overall, will host RMAC foe UC-Colorado Springs in the second game of a women's/men's doubleheader Friday night at 8 p.m. The FLC women will host UCCS at 6 p.m. Friday.